Hope you beauties are doin' juss fine!!! I don't intend to write a REVIEW review but rather a long time no see chit chat and to vent out my feelings (oh yeah! I was devastated) regarding the product that worked fine for 99.9% damsels. The much talked about and the holy grail for so many beauty bloggers and people in general..our very own Cetaphil Cleanser. You just need to type the name in the Google bar and bombarded you will be with its reviews and add to that positive reviews. I bought this a while ago when I was literally blessed with good skin hoping to incorporate it in my daily skincare routine. But..but..but!!! Only using it for a week or so it broke me out badly. Prior to this I always believed that I was blessed with a super tough skin since almost all the products worked for me and even if they didn't make me all glowy, they never reacted this way either. 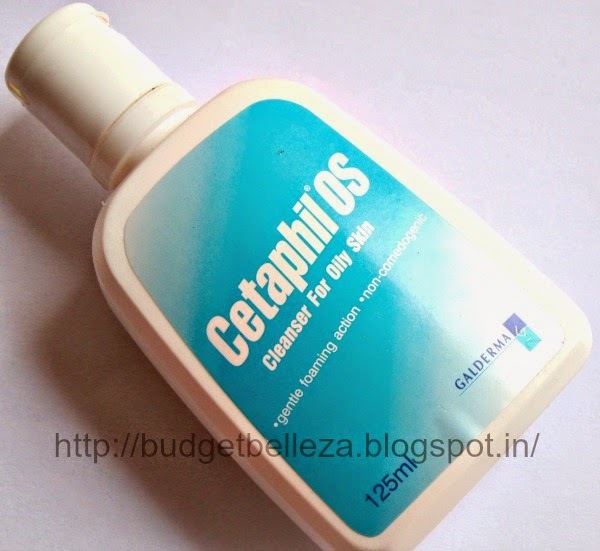 Cetaphil changed my notion and my skin as well! I'm the one too be blamed for the mushrooming cystic acne that spread all over my face. I thought what works for everyone will work for me too. Secondly, just because last summers made my skin transform from dry to combination, I thought I have a permanent oily skin and bought the one made for it. Thirdly, the SLS may have had an adverse effect on me. Lesson learnt? What works for the rest of the planet might not work for you..Now I try to choose the skincare products with eyes,ears and mind open.....and fingers crossed!! this looks very different from the cetaphil packaging we get here in the US N- where did you buy this from?